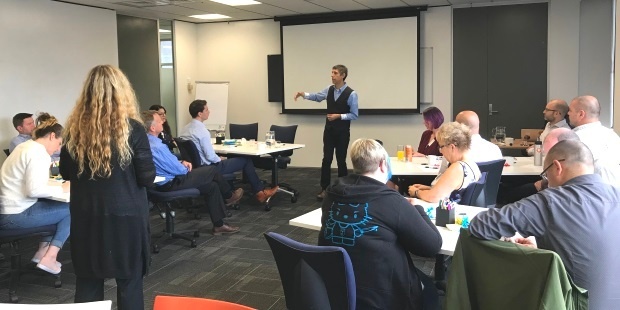 While we have placed a number of our people on the full two-day Certified Agile Leadership training, Michael and Audree generously made available half a day to give some of our broader team an overview of the Certified Agile Leadership topics relating to culture, leadership, change and creating high performance. 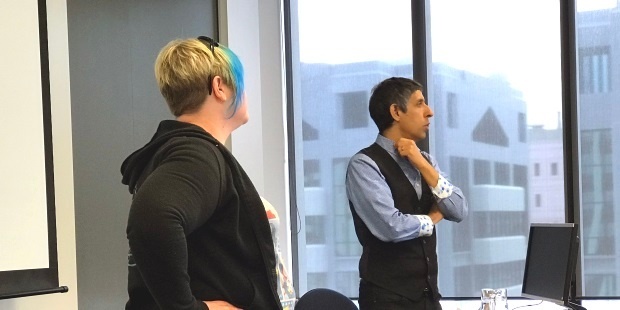 Agile is mainstream, the late majority are adopting it, but Agile is not enough and is not complete in the way that organisations often use it. Culture is the number one challenge with Agile. VersionOne research shows that 63% of respondents say their company philosophy or culture is at odds with the core Agile values, 45% say they lack management support, and 43% say they face general organisational resistance to change. Agile is both a process and a mindset. Organisations tend to focus on the process of "doing Agile"; insufficient attention is given to the mindset of "being Agile", yet the gold of Agile success is found in the latter. Agile is not the goal, organisational goals are the goal and Agile is one 'means' to getting there. Agile needs to start with leaders, "leaders go first" and leaders need to "show up". Leaders cannot simply expect their teams to go Agile, without understanding that for Agile to work leadership must change too (and first). Because most organisations don't naturally have a culture that supports Agile (some do), the right environment and culture needs to be cultivated first before Agile can succeed. A seed can't grow in infertile soil, the ground needs to be prepared first. Pushing change creates resistance, instead focus on those who want help, show results, and then grow a groundswell of people who want to get involved. Organisations tend to spend more time on tactics, less on strategy and less again on culture. Yet, as the saying goes "culture eats strategy for breakfast" and likewise "strategy eats tactics for morning tea". The Agile Manifesto states "individuals and interactions over processes and tools", which can be simplified to "people over process". When working with culture it is important to focus on the people side or "consciousness" as a priority over the process side or "structure". Thank you Michael and Audree for sharing your passion and your invaluable lessons during this Equinox IT workshop. Our people received considerable value from the learning. 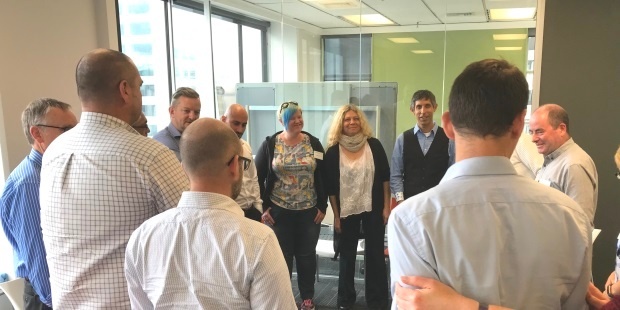 Finally Equinox IT Principal Consultants Julien Thomas and Kirstin Donaldson attended the full two-day Certified Agile Leadership course with Michael and Audree and may be able to help if you want to find out more about the topics and ideas summarised in this post.